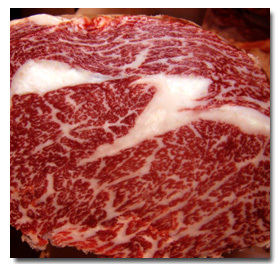 Wagyu (和牛) is a breed of cattle, renowned for the very exclusive and tasteful character of the meat. ‘ Wa ‘ is an old word for Japan or Japanese products, and ‘ Gyu ‘ means ‘ beef ‘. Japan has a vegetarian tradition, the consumption of meat there was long forbidden for religious reasons. Cattle in Japan had therefore merely a role as draught animal when growing rice. 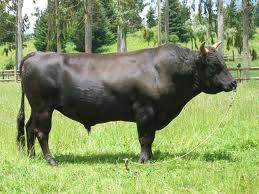 So it’s not surprising that the Japanese bred their Wagyu cattle merely on pull characteristics. Thus they selected their animals on the property to quickly convert food into energy. That way the Wagyu beef obtained a very fine marbling of unsaturated, so healthy, fats that make the meat tender and gives it the special worldknown flavor. We are always open for Trade offers! Spanish Rack semi Dry Aged – Now available!! © This website is currently under construction 2019. Businessx theme designed by Acosmin.